BeautyCon and ELLE partnered up over Labor Day weekend to have the first ever New York BeautyCon summit. The summit brought together top digital fashion and beauty influencers, as well as their fans, at the trendy New York venue, Pier 36. 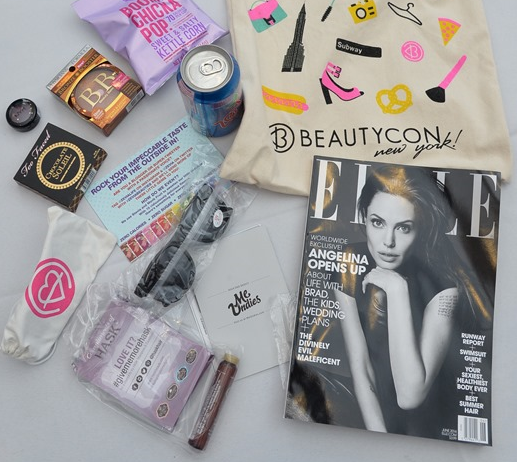 BeautyCon and ELLE’s partnership in New York kicked off the 2014 BeautyCon event series, which will also take place in Los Angeles, Houston, and London throughout the year. BeautyCon offered attendees a day long experience, which focused on the tech savvy, socially connected world that makes up the online beauty community today. From interactive presentations, panels, performances, shopping, games, and meet and greets, there was something for everyone to do at the event. “As a leading multi-channel content brand, ELLE continues to align with strategic partners that not only extend our core editorial equities in beauty and fashion, but also offer relevant experiences for our readers and users. And we are excited to work with BeautyCon, a first-mover in the important blogger/vlogger space,” said Kevin O’Malley, Senior Vice President, Publisher & Chief Revenue Officer of ELLE. BeautyCon brought in celebrity fans throughout the weekend as well. Stars like Whitney Port, Jesse Metcalfe, and Cara Santana stopped by to join in on the festivities. Joe Zee, Jay Manuel, Kandee Johnson, Johnny Wujek, Dulce Candy, Carli Bybel, MakeupByMandy24, Fleur De Force, Weylie, Coco & Breezy, Wendy Nguyen and many more fashion and beauty influencers also took part in BeautyCon by holding panels and meet and greets for fans. Brands like Bare Minerals, Boohoo Clothing, Uberbliss, Tarte Cosmetics, Wildflower, Crown Brushes, Coco & Breezy, H0les, NYX Cosmetics, Revlon, American Apparel, Tattly, Square, StyleHaul, The Platform, Stack Wines, and RYB Apparel amplified the BeautyCon experience by giving fans a taste of the latest and best products in the industry. With more than 4,500 fans in attendance for the first ever New York BeautyCon summit, the event was a great success. 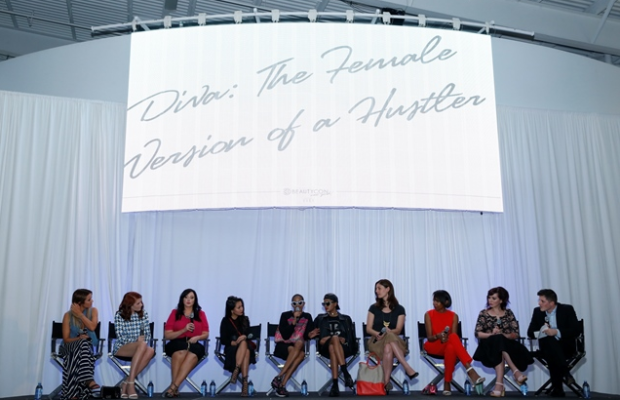 The event set the bar high for what’s to come with the BeautyCon series in the upcoming cities throughout the year.